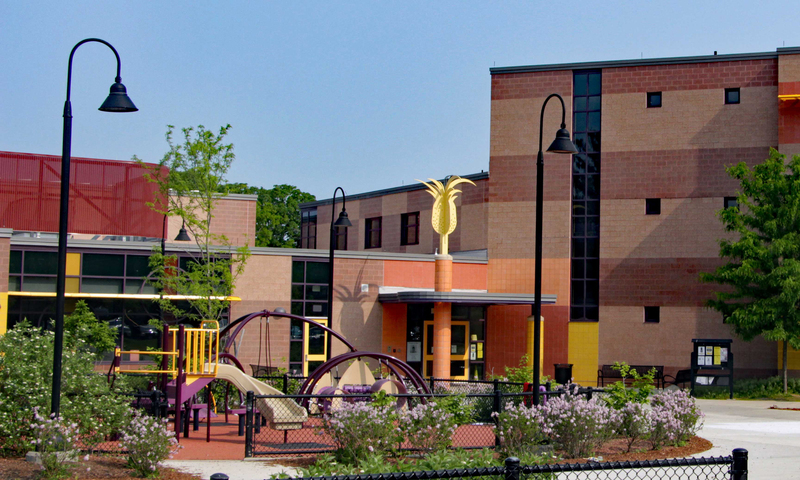 The Arlington Public School Calendar is @ http://www.arlington.k12.ma.us/calendar/pdfs/18-19calendar.pdf. Believe it or not, here we are – the end of the 2017-2018 School Year! Congratulations to all of us – We Made It! People often ask me what am I looking forward to this summer and if I get vacation time, etc. My answer always includes how happy I am that I don’t have to do the “crazy mom thing” in the morning – get everybody up & out, without losing it on my kids as I drop off at Dallin and Ottoson, and screech in to Thompson! The other answer is, that for the most part, I will be working during the summer – the best days to stop by if you need anything are Tuesday-Thursday, and Vicki and/or I will be there between 9:00-2:00. I would also like to say a huge THANK YOU to our staff, students, parents, PTO, after school programs, and the many, many people involved that make Thompson School such an amazing place! While we say farewell to our 80+ fifth graders, we welcome over 100 new students in K-5 for the 2018-2019 school year. Now that our addition is complete, and the modulars will be removed, I look forward to the Fall when we will be “just us” and settle in to our new normal. Ms. Makrianis, who has resigned her position as Library TA. Mr. Ryan, Ms. Jie Jie, Ms. Quarrell, Ms. Richa, Ms. Blais, and Ms. T.
Students will be coming home with their Progress Reports and supply lists for their next year’s grade. Please note that Teacher Assignments will be mailed home in early August, with a welcome letter from the teacher, and more specific list if necessary. I continue to reflect on how grateful I am to be a part of the Thompson School Community. We have SO much to be proud of, and have really had an impact not only at our school, but in the way the District is approaching and addressing topics of great importance. I am thankful to have such a dedicated, supportive staff and parent community. I hope each and every family spends some quality time doing things that bring you joy this summer! Take the time to enjoy the sunshine, the sounds of the season, and each other. Here we are at the end of another successful school year with the last newsletter for 2017-2018. The final three months of the school year feel like a marathon at sprinting speed. For the PTO, April through June are among the busiest times of the year with 18 enrichment programs, 2 all-school programs, and 8 community events! For the 2017-2018, the PTO’s approximately $60,000 budget helped fund 28 grade-level field trips, 2 author visits, 4 all-school enrichment programs, and 20 community events. With a larger budget, we were able to bring in several new enrichment programs including a trip to the Farrington Nature Linc for 2nd Grade, a Wampanoag Cultural workshop and presentation to 3rd Grade, and field trips for 4th Grade to the Museum of Fine Arts and Habitat. All school programs highlights included a cultural presentation called Arabiqa, author workshops by Jessica Garrett and Nora Dooley, an anti-bullying program by Improv Boston, a Hip Hop presentation by Illstyle and Peace, and the “One Day’ Community Sing at the School Picnic. Community event highlights included the Welcome Back Breakfast in fall, followed by the Book Fair, Literacy Night, Holiday Drive, and Winter Parent’s Party in winter, Game Night and the Science EXPLO in early spring, and the beloved year-end Family picnic. As the cliché goes, many hands make light work, and that certainly holds true for all the PTO was able to do this year. None of the events would have been possible without the leadership, enthusiasm, and help of the multitude of parents who volunteered their time and skills. Thank you to the PTO board, the fundraising team, the enrichment committee, communications team, room parents, event co-chairs and volunteers who helped with tasks big and small. We want to give a special shout out to Maf Terry, enrichment lead extraordinaire and director of many Thompson Drama plays, who after 9 years as a PTO member, will be “graduating” from Thompson. Maf, we will miss your energy, creativity, and can-and-will-do attitude! Thank you also to the teachers, Mrs. Donato, Vicki, and the staff for their continued support of the PTO. The fall is the time for the PTO’s two primary fundraisers. The 2018-2019 Arlington Community Card will be launched on Town Day on Saturday, September 15th, and the Direct Donation Drive will start in October. Both these drives accounted for approximately 73% of the PTO annual budget this year. Keep an eye out for additional details on how you can support these initiatives. Last but not least, congratulations to all the 5th graders and their families as they set forth into middle school. We also look forward to welcoming the new kindergarten class, which is shaping up to be the largest incoming kindergarten class to date at Thompson! If you have an incoming Kindergartener at Thompson, join the Facebook group “Thompson Kindergarten 2018- 2019” to connect with other parents. Congratulations to our graduating awesome change makers! Enjoy your summer in nature and with family! I hope some of you will accept Ms. Dichter’s 2 graders’ challenge of having a Strawless Summer. Don’t forget to visit our Green Team display in the Fox Library up through July 6th. Please contact Elizabeth at egrocco@gmail.com if you want to attend a summer Green Team meeting or submit a Green Team Bikeway Haiku! Please contact Fiona at fionaehring@gmail.com if your family wants to be involved with the garden this summer. Thank you all for your good and hard work teaching, learning from, and inspiring our students to care for the planet! From July 9-13 EarthCore members will traverse Town, explore our waterways and natural areas. We’ll undertake experiments and service learning projects. Under the supervision of the Recycling Coordinator and School Sustainability Coordinator, re-see your Town from the perspective of an environmentalist, a scientist, a designer, and a leader. Enjoy the summer and I look forward to working with your teams in the fall! Mark your calendars with these grant opportunities, workshops, conferences, and more! June 27 – Northeast Resource Recovery Association (NRRA) Webinar: Indoor Air Quality and Green Cleaning. This workshop explores indoor air quality hazards for school building occupants such as cleaning chemicals, varnishes, maintenance issues, and improper storage of art/science/voc tech chemicals and discusses how green cleaning practices can significantly improve school health. June 28 – Massachusetts Agriculture in the Classroom presents “Family-Owned Dairy Farms – the History, the Satisfaction, and the Challenges.” Learn about what it is like to grow up on a dairy farm, what careers are available, and whether you can incorporate dairy lessons into your curriculum. July 8-21 – Sustainable Development & Social Entrepreneurship Session at the Yale Young Global Scholars Program. This program is focused on exploring innovative solutions to the greatest challenges facing the international community today, and aims to prepare students to tackle problems related to particular areas of interest, including global health, international development, environmental sustainability, and gender equality. July 9-13 – Museum Institute for Teaching Science (MITS) Summer Professional Development Institute for the Cape Cod Region (middle and high school educators), MetroWest Region (for grades 3-8 educators), Berkshire Region (for grades 3-8 educators), and Central Region (for grades 3-8 educators). The Captain Planet Foundation supports educational programs that enable youth to understand and appreciate our world by getting involved in hands-on projects to improve the environment. The Foundation provides ecoSolution Grants to innovative programs that inspire youth to participate in community service through environmental stewardship activities. Public schools and nonprofit organizations are eligible to apply for grants of $500 to $2,500. Priority is given to projects with matching funds or in-kind support. The final application deadline for 2018 is July 15. Online application guidelines are available on the Foundation’s website. July 16-20 – Museum Institute for Teaching Science Summer Professional Development Institute for the North Shore Region (for grades 3-8 educators) and Southeast Region (for grades 3-8 educators). July 17 – Massachusetts Agriculture in the Classroom presents “Growing for Others and Improving Your Garden.” Learn about field trip opportunities for your class, hands-on gardening activities, and food issues and hunger in Massachusetts. Smart Kid Looking for a Challenge? This summer, the Lumos Young Speakers Program is running a public speaking and debate program for students grade 4-6. This program will take place in July and will run 9am-4pm, Monday to Friday (1-week) in Lexington, MA.